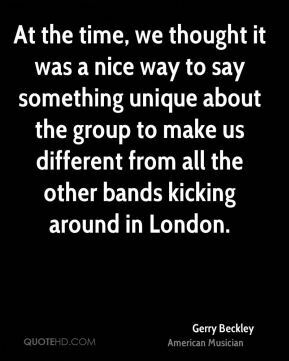 At the time, we thought it was a nice way to say something unique about the group to make us different from all the other bands kicking around in London. 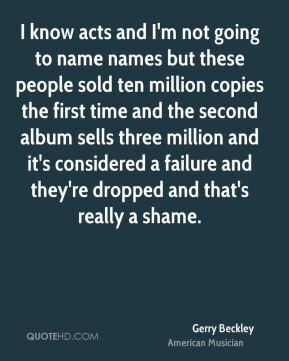 I know acts and I'm not going to name names but these people sold ten million copies the first time and the second album sells three million and it's considered a failure and they're dropped and that's really a shame. 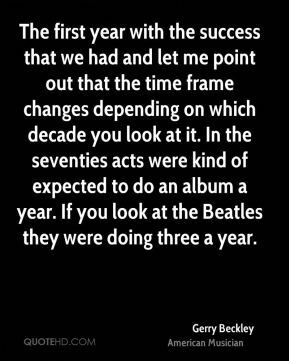 I think if you're writing from the heart, very often, the subject matter will adjust as you age... but you try to write the best song you can possibly write. 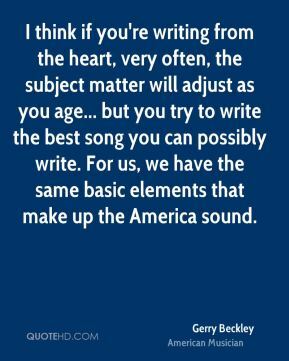 For us, we have the same basic elements that make up the America sound. 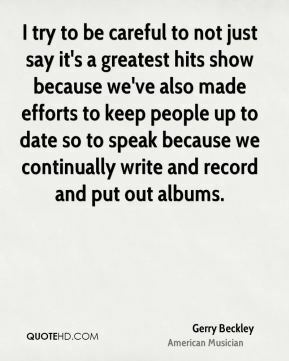 I try to be careful to not just say it's a greatest hits show because we've also made efforts to keep people up to date so to speak because we continually write and record and put out albums. 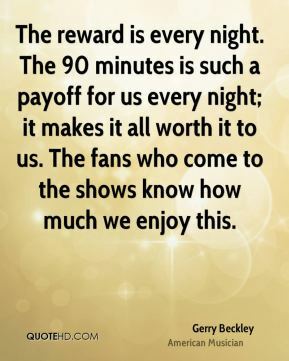 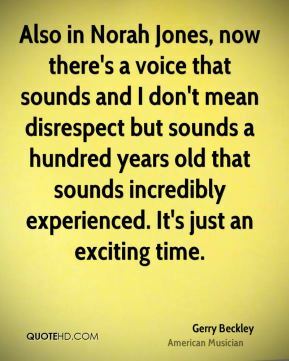 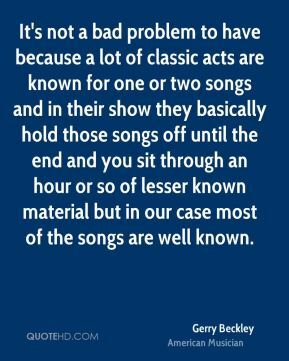 It's not a bad problem to have because a lot of classic acts are known for one or two songs and in their show they basically hold those songs off until the end and you sit through an hour or so of lesser known material but in our case most of the songs are well known. 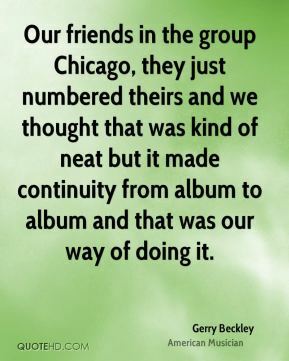 Our friends in the group Chicago, they just numbered theirs and we thought that was kind of neat but it made continuity from album to album and that was our way of doing it.